This week, Jalen and I broke down the upcoming NBA playoffs and spent at least 20 minutes talking about the Metta World Peace/Ron Artest elbow that found its way to James Harden’s neck/head. Why did he do it? What was he thinking? How long will he be suspended? Why did he tweet that he didn’t see Harden? What does this mean for the Lakers? and it actually makes sense. 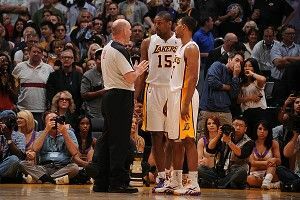 What Was Going On Inside Metta World Peace's Head?